1. Caspian Sea – 371,000 km2 (143,000 sq mi). The Caspian Sea is often regarded as the largest lake in the world, but it contains an oceanic basin rather than being entirely over continental crust. This makes it an oceanic lake and differs it from all the other lakes in this list which are continental lakes. 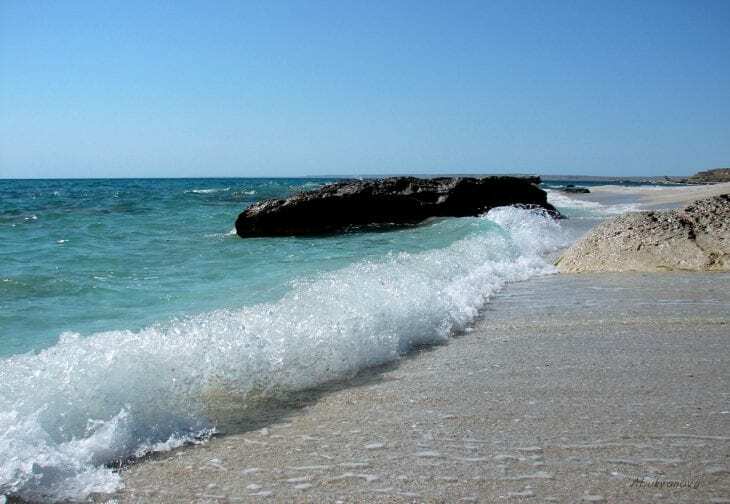 The Caspian Sea is also the world’s third deepest lake. It has no outflows and is bounded by Russia, Azerbaijan, Iran, Turkmenistan and Kazakhstan. 2. Lake Superior – 82,414 km2 (31,820 sq mi). Bounded by Canada and the United States, Lake Superior is the largest lake of the five Great Lakes of North America. 3. Lake Victoria – 69,485 km2 (26,828 sq mi). The largest lake in Africa. It is bounded by Uganda, Kenya and Tanzania. 4. Lake Huron – 59,600 km2 (23,000 sq mi). The second largest lake of the Great lakes. Lake Huron also contains Manitoulin Island, the world’s largest lake island. 5. Lake Michigan – 58,000 km2 (22,000 sq mi). Also one of the five Great Lakes, Lake Michigan is just slightly smaller than Lake Huron. It is also the world’s largest lake entirely within one country – the United States. Chicago and Milwaukee are located on the shore of Lake Michigan. 6. Lake Tanganyika – 32,893 km2 (12,700 sq mi). The lake is not only the 6th largest in the world, it is also the second deepest lake in the world – 1,470 m (4,820 ft) and the longest lake in the world – 676 km (420 mi). Lake Tanganyika is divided among four countries – Tanzania, the Democratic Republic of the Congo, Burundi, and Zambia. 7. Lake Baikal – 31,500 km2 (12,200 sq mi). 8. Great Bear Lake – 31,080 km2 (12,000 sq mi). The largest lake entirely within Canada and the fourth largest in North America. Great Bear Lake is covered with ice from late November to July, at that time there is an ice crossing (ice road) to Deline which lies on the shore of the lake. 9. Lake Malawi – 30,044 km2 (11,600 sq mi). The lake is divided between Tanzania, Mozambique and Malawi. The lake is the second deepest lake in Africa and it has more fish species than any other lake on Earth. 10. Great Slave Lake – 28,930 km2 (11,170 sq mi). This Canadian lake is also the 8th deepest lake in the world and the deepest lake in North America.